Technical Design Reaches Final Stage. 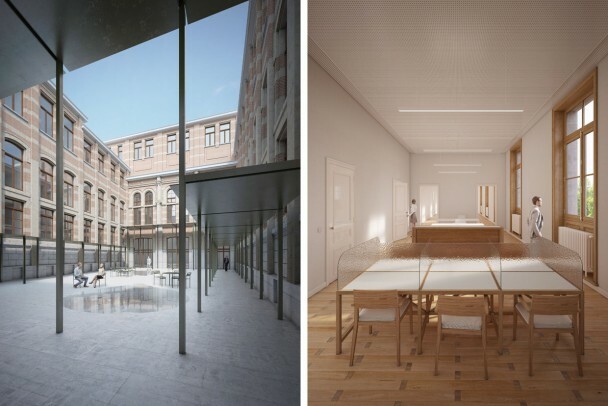 In January 2016 the Federal Government gave a green light for the architectural and technical design for the restoration and refurbishment of the historic Courthouse of Antwerp. The aim of the project is to re-establish its use as a courthouse and to bring it up to par with 21st century regulations and comfort requirements. We answered the brief by bringing the building back to its original morphology. At the same time, we deeply engaged ourselves in opening up the internal courtyard layout to the public, thus creating a more dynamic and transparent atmosphere. After 18 months of intense work, the technical design reaches its final stage. Construction is due to start in early spring 2018.